Research & Development is the foundation of Rakshit philosophy of developing cost-effective, high quality and safe medicines to society. We are working on innovative solutions for tomorrow`s healthcare problems. Innovation & Speed form the core of our strategy. At Rakshit more than reactants, we mix Innovation, Speed & Trust to create value for the customer. Rakshit research works on the concept of integrated product development, which caters to all the product requirements of our generic and API businesses. Our product development capabilities span the areas of Synthetic Organic Chemistry, Analytical Chemistry, Process Engineering, Intellectual Property Management, Polymorphism, Project Management and Regulatory Science. We are committed to leverage innovation at every stage of the Pharma value chain to deliver value to our partners and enable them to take their products to the market faster and remain competitive overall. Continuous process improvement for cost reduction to provide long-term sustainability to various businesses. We provide a nurturing environment to our team of scientists and research technicians. Rakshit has the domain expertise and state-of-the-art-facilities to develop analytical methods for evaluating quality of raw materials, intermediates and final products. 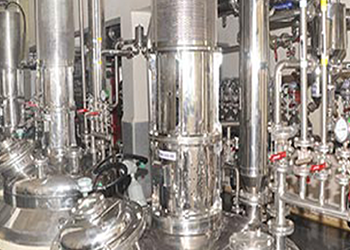 Analytical research lab at Rakshit is equipped to conduct complete physical and chemical characterisation of API’s. Further, the regulatory team has vast experience in documentation and has been filing DMF to major regulatory authorities.